I thought that it would be a good opportunity to share some of the key points from one of my marketing seminars at the recent National ARVC Outdoor Hospitality Conference and Expo. In that seminar, I suggested that print marketing is very much alive and well in these days when most everybody obsesses over the impact of the Internet and its social media components. I also suggested that there are guidelines to be followed that will help you to maximize the impact of your investment. First, target your marketing. A shotgun approach rarely works. For the same reason that it would make little sense to run an advertisement for a campground in Michigan in the Florida pages of a national directory, it makes total sense to embrace the opportunity to advertise in your own state association’s directory. My next point was to never waste money on ad space that is too small to be effective. Size matters. An ad that is lost in the clutter generates little if any recall. Beyond size, a clean design that makes effective use of what is broadly referred to as “white space” will stand out on the printed page. That clean design will almost always be produced by an independent professional design firm that is working for you – not the publication – and that understands your marketing objectives and how to ensure that your ad is part of your business’s overall branding strategy. Your print advertising should reinforce – and be reinforced by – your collateral advertising, website, social media content, signage, and branded merchandise. When it comes to graphics, colors, fonts, headlines and taglines, consistency is mission critical, and “close enough” represents nothing more than a missed opportunity. Because you never want to settle for close enough, always see a proof prior to publication. If necessary, never hesitate to ask for a second or third proof. On the other hand, if you have been shown a third proof that you still feel is off target, it is time to decide what is going wrong. Is the design firm a mismatch with your company, or are you attempting to micromanage to the degree that you are interfering with the creative process? Always try to evaluate the marketing message from the perspective of a prospective customer. Trust your designer to understand the “nuts and bolts” of ad production. We have all seen do-it-yourself advertisements with low-resolution graphics and text that is almost unreadable on the printed page. Your designer will choose the right color space, resolution, fonts, and file formats that will make your business look its best. A professional design firm may qualify for a 15% agency discount, essentially negating the cost of its services. In a smaller publication with light distribution numbers, however, do not be surprised if your ad production costs equal or exceed the cost of the ad space itself. Ask for discounts. Most publishers offer early payment discounts. You may also obtain discounts if you are placing more than one ad in a publication, if you are bundling your ad with other media, or if you hold out for a “remnant” – unsold advertising space just prior to a publishing deadline. Insist on color, but never pay a premium for it. 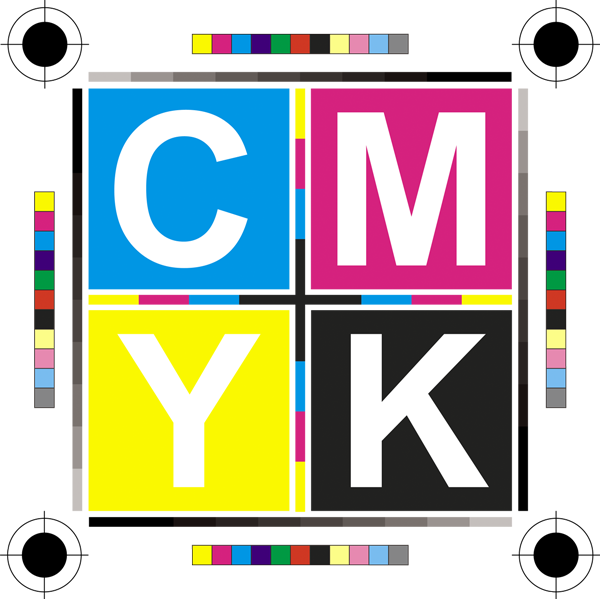 Most publications these days are printed in four-color process. Be aware that it does not cost a publisher a penny more to run your ad in full color than it does to run that same ad in black and white. Negotiate, and do not pay a penny more. Keep your eye on auctions. Most campground state associations have fund-raising auctions that are incorporated into their annual meetings or conventions. These auctions often present opportunities to purchase ad space at deep discounts, especially if there are not several parks bidding up the price. Ask for preferred ad placement. This generally means a right-hand page, with your ad adjacent to related editorial copy. You never want your ad to appear on a page (or a two-page spread) that is populated by nothing but advertising. Those are what I like to call “page-turners” because nobody spends time lingering on those pages. Negotiate premium ad space at no charge, using your leverage as either a new advertiser or a loyal advertiser. Never agree to “ROP” ad space. This stands for “run of publication” and means that you will have zero control over where your ad appears. It will usually be buried away somewhere in the back of the book. Proofreading requires more than one set of eyes. We rarely see our own errors or omissions. Always get another set of eyes, but explain your objective. When you are asking somebody to proofread, you are asking them to look for typos or other blatant errors. You are not asking them to critique the ad concept or design at this stage of production. If you want design input, ask for that earlier on in the process, never forgetting the old idiom that “too many cooks spoil the broth.” Trust the professionals that you hire, taking the opinions of relatives and employees under advisement. Ultimately, remember that once you have signed off on a final proof, a publisher is beyond liability. Always include a compelling call to action. Be sure to include your telephone number and website address, but present them in a manner that encourages people to proceed to that next step. Never expect any single ad to generate a significant amount of business in and of itself. There is only so much that can be said within the confines of a printed space. Use your ad as an effective tool that will encourage prospective customers to go online or call, where your persuasive process may continue to its intended conclusion. For any business to prosper, it is important to maintain ongoing awareness in the eyes of its consumers. This should be accomplished in a variety of ways, with directory advertising being an important component in the mix. Wisely executed, that directory advertising can easily be one of the single most effective components of your business’s overall marketing strategy. I often advise people that their Web address should be treated like their second business name. I also tell them that their URL should be short, memorable, and easy to spell. Ideally, it is the shortest possible variation of your actual business name. This advice is based upon the fact that there are many ways to drive traffic to your website. Many people think that they build a website, then just sit back and wait for a flood of new business to be magically generated by Google. Well, it doesn’t quite work that way. If you look at the Google Analytics for the average website, you will quickly learn that there are three basic sources of incoming traffic. One is search engines (where Google and Bing are, for all practical purposes, the only games in town), another is referring sites (like Go Camping America, your state campground association, and your local tourism office or chamber of commerce), and the last is what is referred to as “direct traffic”. In many instances, those three broad sources of traffic break down into equal thirds. In this installment, I would like to concentrate on that last segment: Direct traffic. You can have one of the world’s best websites but, without traffic, it is nothing more than a business with its lights out. People need to find your business, and whatever it might be, every single potential customer counts. If direct traffic represents a third of your potential with respect to new business, you cannot afford to turn a blind eye to that traffic. To start, it helps to know direct traffic’s sources of origin. Some direct traffic is what is referred to as “type-in” traffic. These are people who, although they already know your business, are probably not familiar with your website. They simply presume that entering your business name, followed by .com will take them to your website. (Hopefully for you, that is the case!) This is the argument in favor of choosing a short, memorable, and intuitive domain name. Other sources of direct traffic include advertising and listings in printed directories and publications that reach your clientele. If you are a campground owner, you simply cannot afford NOT to be found in your state association directory. These are professionally designed publications that are printed in large quantities, are organized in a manner that makes it easy for people to zero in on specific regions, and are distributed in markets that reach out to both active and potential campers. In most instances today, the primary purpose of any print advertising is to send prospects to your website, where they can find more information and immediately respond to your “call to action” … which is almost always going to be either a reservation inquiry or a real-time reservation. For this reason, your Web address should be one of the three primary elements of your message, along with your business name and telephone number. With a little imagination, there are so many ways of reaching out to people with your URL. Do you have signage on your vehicles? If so, does it include your Web address? Vinyl signage is very inexpensive these days, and a message on the rear window, tailgate, or rear bumpers on your vehicles will be absorbed by far more people than a message that is seen fleetingly on a side door. Everything else aside, the single most important way to promote your website is through the use of printed literature. Like your directory advertising, your brochures, rack cards, or other printed literature need to get to the point of sending people to your website. As somebody who started in the advertising industry producing four-color brochures for the outdoor industry, I can tell you that people are printing smaller brochures (or more often rack cards) in lower quantities and with less frequency. The key is to insure that the quality of your literature stands out from the crowd and that it gets distributed. Just like a terrific website that is relatively unseen, the best brochures that sit in a box are failing to generate a penny in new revenues for your business. Many state campground associations have very inexpensive distribution programs that allow your brochure to “piggyback” with directories that are mailed in fulfillment of consumer requests. Saving the postage will easily cut your costs of reaching those new customers in half. Your state association can also help you to reach campers at major RV shows. You cannot possibly afford the time or the expense to exhibit at every major camping show, typically held during the winter months, when Northern campers are itching for the snow to melt and when Sunbirds are anxious to migrate back to the Northern woods; however, “piggybacking” once again with your state association can be the next best thing. I apologize if there are others that I may have unintentionally omitted. If they exist, they are probably not doing an efficient job of promoting their own businesses. Other companies maintain literature racks that display campground brochures at RV dealerships from state to state. One of these, serving the state of California, is RV Travlin. Incorporate these ideas and services, then watch the direct traffic to your website increase substantially by people who are campers, are interested in your state or region, and who would otherwise not know that your business exists.